The Avengers : Series 6 : Get-A-Way! 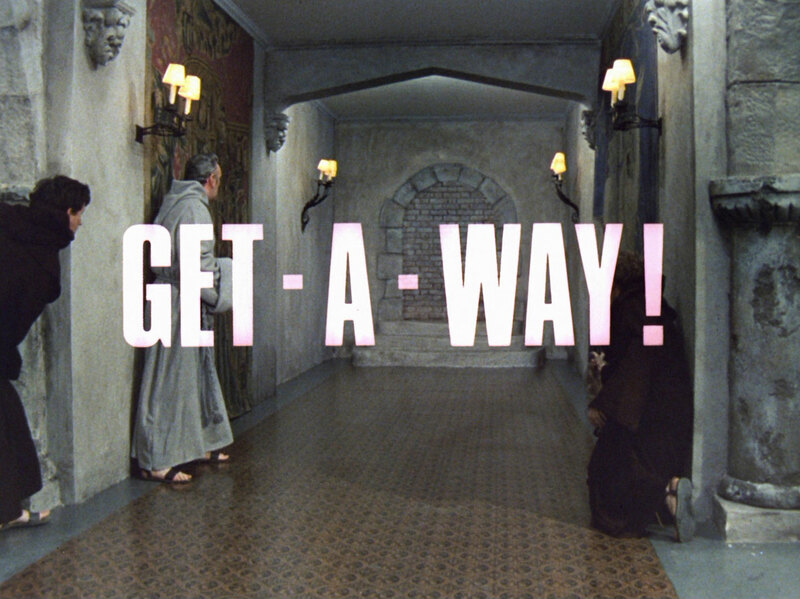 In a quiet, secluded monastery, the prior rings the vespers bells; Price (Michael Culver) and Baxter (William Wilde) pass down the corridors, Baxter checking high-tech cameras with a view into some cells. At the third cell he is astonished to find it apparently unoccupied. He radios control for access to the room, telling them Rostov appears to be missing. He enters and finds nothing, then radios control for access. It's granted and he draws a revolver but finds the room empty. 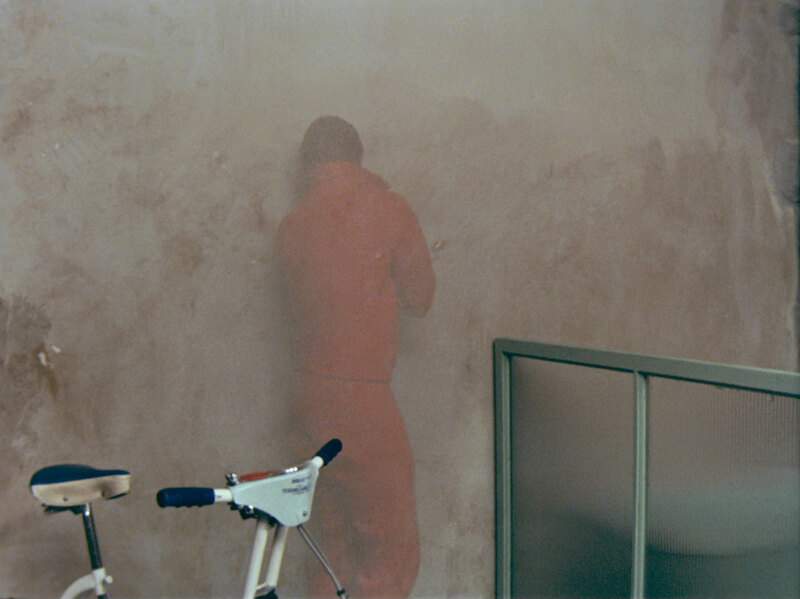 Rostov (Vincent Harding) suddenly appears behind and knocks him down, when Baxter recovers a few moments later he croaks for the alarm to be raised. Three of them corner Rostov in a dead-end corridor, but when they turn the corner he has vanished. Steed is entertaining two old colleagues, Paul Ryder (Neil Hallett) and George Neville (Terence Longdon) with Tara in shimmering, champagne-pouring attendance. Paul takes his leave as dawn breaks and fails to notice Rostov lurking in a doorway outside. George leaves a short time later and hears someone whispering his name, but can see no-one. Rostov suddenly appears and kills him - Steed hears the shot and rushes outside. He cradles Neville in his arms and George gasps, "Rostov" before dying. Steed visits the monastery prison where the prior, who's really Colonel James (Andrew Keir), show him Rostov apparently impossible escape route. Steed verifies that the other prisoners, Lubin and Ezdorf are still incarcerated and asks to interview Ezdorf. James radios Lt. Edwards (Michael Elwyn) to open the cell and stands guard while Steed enters. Ezdorf (Peter Bowles) sneers at him and says he is proud of Rostov - he then declares Lubin will escape next, followed by him. Steed thinks he's buffing, then the alarm bells start ringing. Outside, James and Baxter have been knocked down and Price releases Steed before joining the chase. 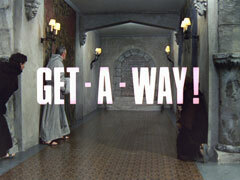 The monks chase Lubin (Robert Russell) to the same corridor that Rostov escape from and he vanishes before they round the corner. Steed rings Tara, telling her to warn Ryder - he was Lubin's intended target. Lubin arrives at Ryder's flat and terrorises him by calling him name, slamming doors and flinging wallpaper about before announcing he's going to kill him - all without being seen. Ryder leaps for the bathroom, expecting Lubin there, but Lubin suddenly appears behind him. 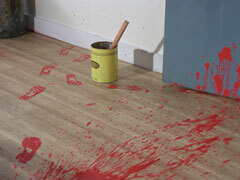 Tara arrives just in time to hear the shots but finds no-one there, she's baffled by the red paint footprints ending near a wall and more surprised when the doors slams as she checks the room and she sees two more prints have appeared. She runs back out and sees some new prints in the hallway. Later, Tara is adamant Lubin couldn't have got past her; Steed says there's only one thing for it and grabs a bottle of vodka. When Tara tells him that's not the answer, he explains it's from Lubin's cell, as are some other items - cigarettes and lighter, water bottle, magazine, chess board. Steed recalls he heard Lubin was a teetotaller - Tara goes to check at the ministry while Steed checks at the monastery. James says he's right, but Lubin asked for a liquor ration a month ago - James samples each bottle personally. Steed interviews Ezdorf again and learns Ezdorf fully expects to just walk out of the prison and that he is Ezdorf's target. Steed speaks to Professor Dodge (Peter Bayliss), the ministry's tame escapologist who is checking Rostov's cell. He declares the walls are two feet of solid granite and impregnable - even he can't escape from it. Steed notices the same Natural History magazine as Lubin had, and finds a page missing. When the vodka arrives at the prison, James tests it carefully - a little dry but with plenty of bite - and Steed delivers it to Ezdorf's cell. 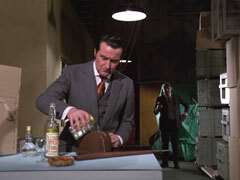 Ezdorf is cautious when Steed presents the bottle, but pour them both a drink. 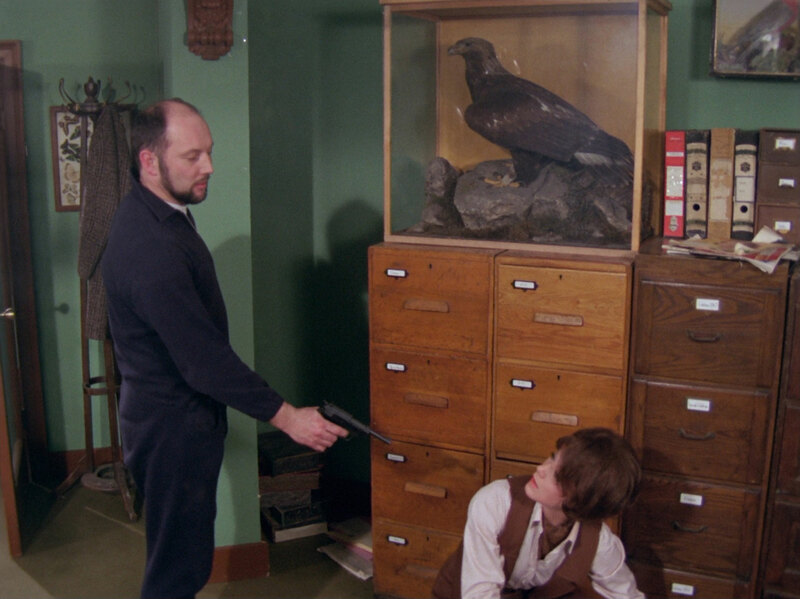 Steed casually comments that "the secret's in here", looking at the Natural History magazine. Ezdorf rises to the bait and declares Steed a worthy adversary; he gives him the magazine to see if he can find the answer when Steed bandies about the word "lizard". Ezdorf laughs at him and anticipates facing him equally matched on the outside once he's escaped. Tara meanwhile shows the magazine article to Peters, who is delighted. He tells her lizards make splendid pets, especially chameleons like his Albert - they're forever changing their colour to blend with the background. Revelation for Tara! 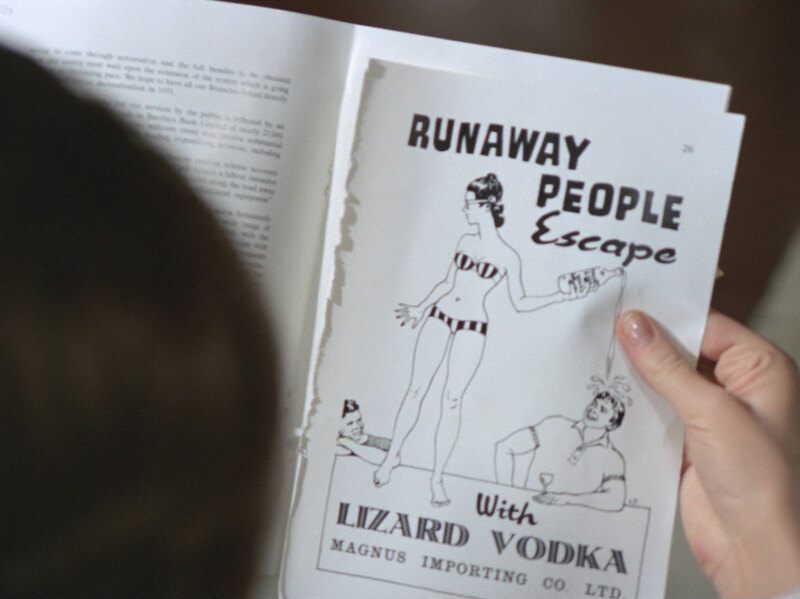 Back at the prison, Ezdorf watches Steed leave the main gate from his cell window, then twists the vodka bottle in the middle - the bottom comes off and he pours the liquid in it into his bathtub, then gets into it fully clothed and soaks himself. He gets out a moment later and tries the effect, standing against the wall, spinning around and vanishing. He reappears and laughs. Baxter checks the cell a moment later and Price is astonished when he calls James to say Ezdorf isn't there. James checks the cell with Baxter. Ezdorf overcomes Baxter, then James. Price sees the fallen men and enters the cell with another monk but Ezdorf is nowhere to be seen. Ezdorf knocks them flying and takes off, exchanging shots with the monks and running down the corridors - he disappears in the same dead end as his colleagues, and knocks out Baxter and James again. Steed peruses the article again and picks up the vodka bottle when he looks at the advertisement again. He turns it in his hand and, feeling the thread of the join, open it then sniffs the contents. Ezdorf meanwhile is celebrating his escape at Magnus Imports; Magnus tells him they've refined the process chameleons use and made it applicable to any fabric. Magnus hands him his Berretta but Ezdorf demands a Smith & Wesson Magnum, saying it's a private joke. Tara returns to Steed's apartment in time to answer James' call, warning that Ezdorf is on his way to kill Steed. Tara rushes to the staircase, calling for him then turns at a sound from the door; Ezdorf has arrived, revolver in hand and says he can wait - he already has, for a long time. Steed has returned to Magnus Imports and tests the fluid on his bowler hat. Magnus sneaks up on him but is easily dispatched by an alert Steed. Steed turns back to him damp bowler to find he can't see it. Ezdorf meanwhile sniggering - he had always been taught not to turn his back on his enemy, as it made him vulnerable, whereas now it makes him invulnerable. He's surprised and impressed when Tara says, "like a chameleon", then deduces only his back has been treated. They hear Steed return and Ezdorf take Tara at gunpoint. She shouts a warning as Steed puts his key in the lock and Ezdorf fires. He runs to the slowly swinging door and finds no-one, then hears a noise inside the flat. He reenters and vanishes, turning his back on the room. Tara rises from the floor and watches in wonder as the two invisible men exchange shots around the flat. Ezdorf reappears and grabs Tara, demanding Steed show himself or she dies. Steed reappears - behind him - and easily knocks him out, telling Tara, "It seems I appeared in the nick of time". 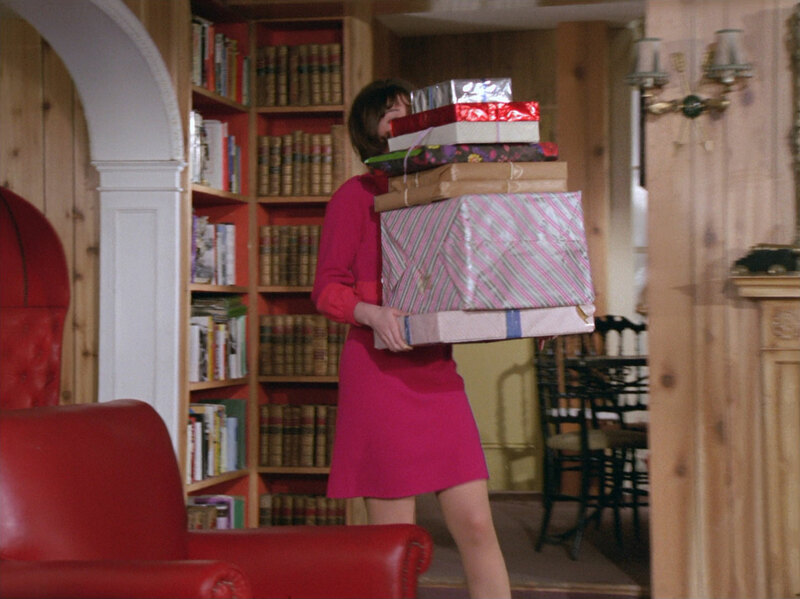 Tara drops by to show off the outfit she's just bought, but can't see Steed anywhere; she thinks he's invisible, but he's crouched behind the sofa, fixing a leak in his tuba.